David Cameron could spearhead an amendment to the Freedom of Information Act that would strengthen the ability of the Government to veto the publication of sensitive documents, following publication of the so-called 'black spider memos' from Prince Charles to government departments today. 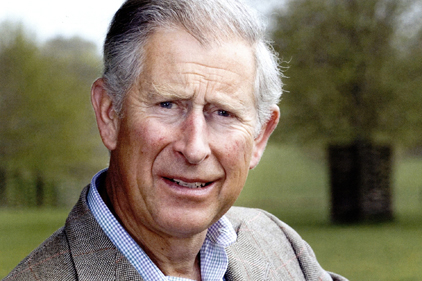 At 4pm on 13 May, the Cabinet Office finally published numerous letters Prince Charles had written to the Prime Minister and various MPs including the health, environment and cultural ministers. Anyone expecting a bombshell was left disappointed. Except for suggesting that the Labour government had underfunded the army for the Iraq war, the letters discussed concerns about the state of British farming, the need to improve the diet of school children and concern for the Patagonian tooth fish. The most exciting moment was when Channel 4's political correspondent Michael Crick attempted to get some comment from Prince Charles and was unceremoniously shoved out of the way by his press aide. For the most part, Twitter was thoroughly underwhelmed too. In a briefing with journalists at Downing Street earlier today, the Prime Minister’s spokesman claimed the publication of Prince Charles’ personal memos created a "lack of clarity" over what ministers can veto. The Government will now consider all avenues, including changes to existing legislation. "Given that the court ruling has generated some degree of uncertainty in this area this is an issue which the Government will look at and consider carefully and thoroughly in the period ahead. Our view remains, as the Government has argued during the lengthy legal proceedings, that there is a strong case for the ability to exercise a ministerial veto," The Guardian reported the spokesman as saying during a daily lobby meeting. The spokesman added: "I have no doubt there would be discussions with parliamentarians; some parliamentary committees may well look at this as part of the process of considering how potentially we go forward in this area." The Campaign for Freedom of Information blasted the news of any proposed amendments and said they would go against the original purpose of the bill. Maurice Frankel, the organisation's director, explained that, when the FOI Act was passed, Parliament assumed the veto could be used against decisions of the Information Commissioner in certain circumstances. The possibility of it being used against a court or tribunal decision was never debated. He added: "Ministers are now suggesting that they should be able to overturn a judicial decision under the FOI Act simply because they prefer their own view, disregarding the fact that the court may have tested the arguments rigorously and persuasively justified its findings. That is too much power for ministers to have. They should appeal against decisions they disagree with, not simply overturn them."